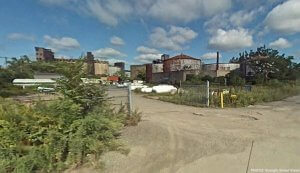 BUFFALO, N.Y. – Police are investigating the death of a worker in South Buffalo’s Old First Ward. Officials told Channel 4 News the worker was identified as Jeffrey Langenfeld, 27, of Tonawanda. A Buffalo Police Spokesman said Jeffrey Langenfeld died when a large piece of machinery fell on top of him. The Buffalo News reports the piece of machinery that killed Jeffrey Langenfeld was a crane that was located at an industrial yard at 220 Katherine Street. Unfortunately, crane accidents are not uncommon. According to the Bureau of Labor Statistics, crane accidents caused more than 800 workplace fatalities from 1997 to 2006. In any crane accident, an immediate legal investigation can help families identify what happened and why. According to OSHA, most crane accidents can be prevented by adequately training workers to operate machinery safely and by setting strict safety protocols. In many cases, families have relied on a Buffalo construction accident lawyer to help get compensation for medical costs, lost wages, pain and suffering, and more. An experienced attorney can also help families get the best result possible from a claim by carefully examining all aspects of the accident including the weather conditions, wind conditions, possible mechanical malfunctions, the operator’s track record, and the maintenance record of the machinery. The most common victims in crane accidents also tend to be bystanders – or workers who are struck by objects that fall from the crane, or struck by the crane itself. The federal Occupational Safety and Health Administration (OSHA) also responded to 220 Katherine Street, which is the location of the Buffalo Industrial Diving Co., also known as BIDCO, which conducts underwater salvage operations and other underwater services. NEW YORK – At least one person was killed and dozens more suffered severe injuries when a commuter train crashed into a crowded Hoboken station during the morning rush on Thursday. The crash caused a portion of the frequently-used terminal to collapse, leaving piles of debris scattered throughout the station. Fabiola Bittar de Kroon, 34, of Hoboken was standing on the platform and was struck and killed by debris, New Jersey Governor Chris Christie said. Fibiola Bittar de Kroon was a native of Brazil. According to CBS News, she had just dropped off her toddler at day care Thursday morning before leaving for the Hoboken Terminal in a rush. Friends and co-workers told CBS that Fabiola Bittar de Kroon had recently moved to New Jersey from South America. The Hoboken train crash injured more than 100 others as it collided with the train station. Passengers Nancy Bido, Steve Mesiano, Bhagyesh Shah, and Jason Danahy told reporters what happened. Others weren’t so fortunate and many passengers are still asking, why did this happen? Authorities said the crash on the Pascack Valley Line was either accidental or caused by operator error, according to reports from NBC New York. Reporters said it appeared the train went through a bumper stop on the track, crashing into the building. With most train accidents, a detailed legal investigation will look at all the possible factors that may have contributed to, or directly caused a crash. New York train accident lawyers not only investigate operator error and potential track flaws, they also look into mechanical issues and any structural faults with the station itself, all of which may have contributed to the Hoboken train crash. Many injured passengers suffered a variety of injuries and in most cases, medical care is necessary. It is currently estimated that over 100 people were hurt and the Jersey City Medical Center was expecting to receive roughly 50 patients immediately following the crash, The Times reported. 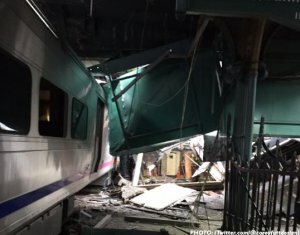 Other injured passengers were taken to Hoboken University Medical Center and to Christ Hospital, less than two-miles from the Hoboken train station. According to a New York train accident attorney, injured passengers often need legal assistance after a crash. Some passengers and families will be looking for help with paying medical bills or receiving compensation for missing time from work or for pain and suffering. Passengers Nancy Bido, Steve Mesiano, Jason Danahy, and Bhagyesh Shah told reporters there were many people who were visibly injured. Due to the severity of the crash, doctors anticipate more injuries will be reported in the near future. Many injuries can manifest hours, days or even weeks after a severe train crash. According to doctors, these injuries can cause severe pain if left untreated. More than 100,000 people use NJ Transit trains to commute from New Jersey to New York on a daily basis. Hoboken is one of the busiest stations in the tri-state area and records over 15,000 passengers each day. If investigators discover any flaws with the trains, the engineer or the station itself, the findings will be reported to the Federal Railroad Administration and the National Transportation Safety Board, who are logging the accident. 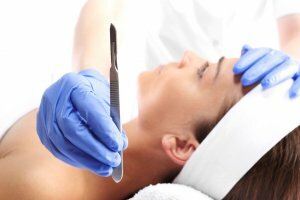 NEW YORK – A new comprehensive study is putting the scalpel to a common but quiet issue: medical malpractice in the plastic surgeon’s office. The Doctors Company, the nation’s largest physician-owned medical malpractice insurer, analyzed its 78,000 members for ways to improve the nip/tuck practice. The study looked at over 1,400 claims against plastic surgeons and identified the top causes of medical malpractice. A Manhattan medical malpractice lawyer at Cellino & Barnes says the study also highlights the obligations and responsibilities doctors have while operating on or overseeing a plastic surgery. In 2013, the American Society for Aesthetic Plastic Surgery (ASPS) issued a warning about an uptick in the number of unqualified surgeons. Some ‘surgeons’ have also been caught illegally conducting a plastic surgery practice. “Many individuals have been arrested for performing illegal injections… without sufficient training or licenses,” the ASPS wrote in a release. The issue is not just limited to fake or unqualified surgeons. Even credentialed plastic surgeons who are board certified can make mistakes, leading to serious physical and emotional injuries. While no surgery is risk-free, patients have a reasonable expectation that plastic surgeons are medically competent in their advertised fields. As recent studies have found, failure to live up to these expectations can have disastrous consequences. If you’ve suffered an injury or disfigurement as the result of a botched plastic surgery, you may be able to recover compensation for past and future expenses. The Manhattan medical malpractice lawyers at Cellino & Barnes say clients could recover the costs for corrective surgeries, loss of income, emotional pain and suffering, and more. With offices conveniently located in Manhattan and Long Island, Cellino & Barnes will review your case for free. BUFFALO, N.Y. – Authorities investigating a deadly rollover crash say the incident was caused by a truck driver after a tractor-trailer rear-ended a vehicle on I-90 in Chautauqua County, south of Buffalo. According to WGRZ-TV, Volodymyr Haperin, 41, of Ontario was driving a tractor-trailer between Exit 59 and Exit 58 in Chautauqua County on Wednesday when he struck the back of a Chevy Silverado pick-up truck. Police told reporters that Rush Addair, 81, of Indianapolis, Indiana was driving the pick-up with Iesha Lampton, 21, as a passenger. As a result of the collision, Rush Addair lost control of the truck and was ejected. Iesha Lampton suffered minor injuries and the truck driver, Haperin, was not injured in the crash. A Buffalo truck accident lawyer at Cellino & Barnes says truck accidents like these continue to plague local roads and highways. The Buffalo truck accident lawyers at Cellino & Barnes have been investigating truck crashes for over 50 years and Barnes says a thorough investigation is imperative. Barnes said there are other factors that he looks at every time he investigates a truck crash. Truck maintenance of both the cab and the trailer, accident history, the driver’s logbooks, the weight and distribution of the load, speed for the road conditions, pickup and drop off points, planned route information, was the driver behind schedule, last refueling point and discussions with witnesses can each reveal critical information. Poor truck maintenance can cause a truck’s brakes to fail and other vital systems can malfunction if the driver or company doesn’t conduct regular maintenance. Recently, a Pennsylvania truck driver was ticketed for operating an out of service vehicle after his truck crashed into multiple vehicles in Binghamton. Officials said the tractor-trailer was carrying heavy stone blocks and inadequate brakes were a contributing factor in the crash. The truck accident attorneys at Cellino & Barnes look at every possible factor when they’re investigating a truck crash because it can help maximize a victim’s compensation, Barnes said. If you or a loved one has been hurt in a truck crash, Cellino & Barnes can help you obtain the best result possible. Call one of their experienced truck accident lawyers today and they will review your case for free. NEW YORK – As city children get back to school, they’ll be learning something new this fall regarding street safety. A new educational initiative aimed at 300,000 children in the Big Apple will be taught to students in the fourth, fifth and sixth grades. Part of the mayor’s Vision Zero campaign, the new curriculum is called “Cross This Way” and it promises to educate children about safely crossing the street in many different scenarios. 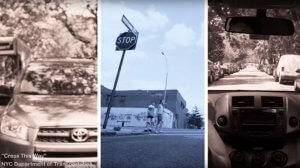 The lesson plan, jointly put together by the city’s Education and Transportation Departments, includes this catchy hip-hop song and video that illustrates safe and proper ways to cross the street in New York. A Manhattan car accident lawyer at Cellino & Barnes says safety education is fundamental for young children but it’s no substitute for a lesson at home. More than 1,000 youngsters under 17 were struck by cars across the city in 2015. Of those accidents, nine children were killed, the Department of Transportation said. Manhattan car accident attorneys pinned-down some of the top causes of these crashes, many of which can be attributed to driver. Teens can be distracted too, Barnes said. While smartphone usage is abundant in cars, more and more people – especially young teenagers – are texting and walking. To combat the bad habits, the DOT is teaming-up with city teachers to highlight the dangers of texting while crossing the street. The lesson plan also aims to teach children to look both ways before crossing the street and promote helmet usage for children on bicycles, scooters and skateboards. While these young pedestrians are learning to avoid accidents, Manhattan car accident lawyers say street safety is still the primary responsibility of New York’s drivers. If your child has been injured by a car, Cellino & Barnes can help you and your family obtain the best result possible. Recognized by Best Lawyers, Cellino & Barnes has helped New Yorkers obtain over $1 billion in settlements and verdicts. For a free consultation, contact Cellino & Barnes today. ROCHESTER, N.Y. – This statement might blow your socks off: college is expensive. Cars can be expensive too – and combing the two can be a pricey venture for a young adult. According to a new analysis conducted by the personal finance and investing group, Value Penguin, maintaining a fully insured car at some colleges can cost an estimated $6,538. The report also looked at campus safety and convenience to find the best and worst college towns for students who want to keep the keys while they’re cramming for midterms. 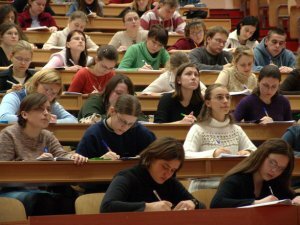 Western and Central New York schools consistently ranked at the bottom of the list and a Rochester car accident lawyer at Cellino & Barnes says there are many factors that make New York colleges expensive and risky for students who drive. Of the 105 cities/campuses evaluated in Value Penguin’s research, Syracuse ranked 99th and Alfred didn’t do much better – ranking 80th in the nation. Both scored very low for safety and convenience. Researchers said the worst colleges to have a car are ones located in bigger cities or places with difficult driving conditions and high insurance costs. Syracuse is often battling Rochester and Buffalo for the Golden Snowball Award; a yearly competition for the most snow. With several colleges located in this “snow-belt,” campus safety officials are constantly trying to find ways to keep driving students safe, which sometimes means leaving the car at mom and dad’s. On top of the poor weather, bad roads, car thefts, and price were also taken into account. The cost of parking permits, repairs and gas can cost students an extra $9,000 to $12,000 in some places. Students attending Long Island University in Greenvale can expect to shell-out an average of $10,000 a year just in vehicle up-keep when they’re at school. Schools closer to Rochester weren’t that expensive but poor roads and packed parking lots dragged several New York schools to the bottom of the list. Rochester car accident lawyers say thousands of students are injured in car crashes near college campuses every semester. If you’ve been hurt by a negligent driver, the attorneys at Cellino & Barnes can help you obtain the best result possible. Call them today for a free consultation. NEW YORK – The struggle is real in the northeast . For the third year in a row, drivers in this region have ranked among the worst drivers in the nation, according to Allstate’s Best Drivers Report. The annual report ranks 200 of the largest U.S. cities for safe driving habits and likelihood of filing a collision claim. Drivers in Boston were named the worst of the worst by the national auto insurer and major cities in California, New Jersey and New York ranked in the lower 100. 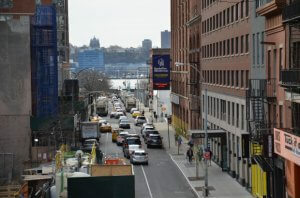 Manhattan car accident lawyers say the new data points to a concerning trend among New York drivers. Allstate’s data-recording devices monitor drivers and their habits, including incidents of hard-breaking. Few cities outpaced New York in this category. Drivers in the Big Apple are no strangers to stop-and-go traffic but the insurance industry has long used ‘hard-breaking’ events as an indicator of crash likelihood. Drivers who slam the breaks often are likely not paying attention (that’s why they’re forced to squeeze the break a little harder) and their risk of crashing is high due to their perceived inattention. There are other factors that put New Yorkers near the bottom of the list too. 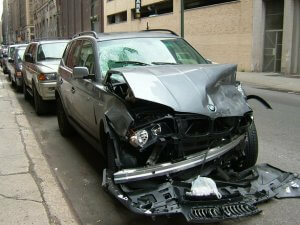 Manhattan car accident attorneys say dangerous weather has often played a role in the number of collisions. Cellino says weather however, is no excuse for a crash and drivers can still be held liable for their actions during a snow storm or a thunderstorm. The new research also found that the average New Yorker files an auto claim every 8.3 years. The rate is among the highest in the nation but still nowhere near Boston. Red Sox and Patriots fans are notoriously risky drivers and Allstate said Bostonians filed claims every 3.7 years, more frequently than any other U.S. city. Brownsville, Texas and Kansas City, Kansas topped Allstate’s list as the safest driving cities in America after rain and snow were taken into account. Although weather can be a factor in a crash, it is rarely the primary factor. Manhattan car accident lawyers say driver inattention remains the top cause of car crashes in the northeast. As one of the top-rated personal injury law firms on Lawyers.com, Cellino & Barnes helps victims who have been injured by inattentive and negligent drivers. If you’ve been injured in a crash, contact Cellino & Barnes for a free case evaluation. 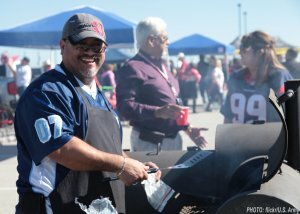 BUFFALO, N.Y. – As cities across the nation welcome back football this September, fans will fire-up the grills, open the coolers and begin the tailgating season. It’s been a yearly tradition in college and pro towns for decades and each year, accidents happen. That’s why the Buffalo car accident attorneys at Cellino & Barnes urge tailgaters to put safety first this fall – both before and after the game. Drinking and driving on football game days is a very real problem across the nation, a state report found. Nearly half of those who drink while at a football party report driving home and each week, DUI arrests spike up to 13 percent in cities and campuses with home football games. Cellino & Barnes estimates about 20,000 people get injured in DUI crashes every year on days when a local football team is playing. That’s roughly 6 percent of all alcohol-fueled crashes. Hundreds more are killed by drunk drivers on game days. Drunk driving isn’t the only concern associated with football games. Fatigue – waking up at 7 AM for a day of tailgating can be exhausting. Even for those who are sober, fatigue can be a major factor after the game. It’s estimated that fatigue plays a factor in thousands of post-game car crashes. The Buffalo car accident lawyers at Cellino & Barnes are proud to support safe tailgating in Western New York but when your safety is compromised by a negligent driver or tailgater, they could help you get the best result possible. If you’ve been injured, call 800-888-8888 for a free case evaluation. Have a fun and safe football and tailgating season. BUFFALO, N.Y. – You’re spending a lot of time behind the wheel. You’re not alone either – most Americans are in their cars roughly 17,600 minutes each year. That adds-up to 12 days, 5 hours and 21 minutes. Let’s put it another way: that’s roughly seven 40-hour work weeks (but you’re probably not getting paid to commute). The numbers are all laid out in new research conducted by the AAA Foundation. According to year-by-year comparisons, people are traveling more often and Buffalo car accident lawyers say that generally makes the roads more dangerous. 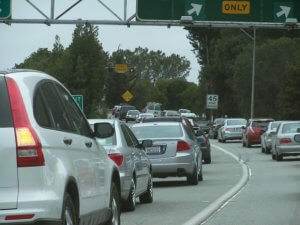 The AAA Foundation says each person is traveling an average of 10,900 miles per year. Many accident statistics have shown that car accidents often have a direct correlation to the number of miles driven – and both have gone up in the last year. Even though distracted driving incidents have hit an all-time high, the car remains a central part of our lives as Americans. Due to these facts, Buffalo car accident attorneys say safety should be everyone’s top priority but it’s often pushed to the back seat. Nearly 90-percent of Americans of the age of 16 have driven a vehicle in the last year. In total, Americans have logged almost 2.5 trillion miles in just 12 months, a 2.5 percent increase from 2014. With so many cars traveling further than ever, the roads and highways are risky places to be. One of the largest personal injury law firms in New York, Cellino & Barnes assists injured clients with their legal needs. With multiple offices in Buffalo and across New York State, car crash victims can easily meet with an attorney in person or call (800)888-8888 for a free consultation.